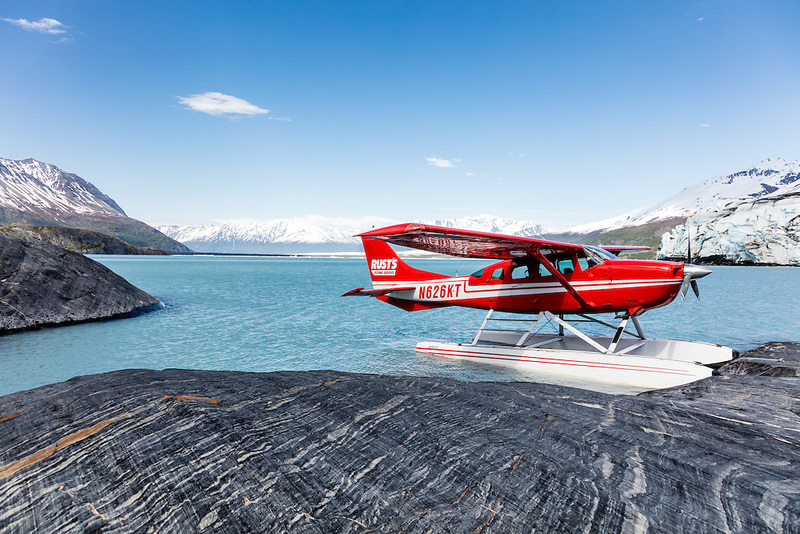 Float plane parked along Colony Glacier and Inner Lake George in Chugach National Forest in Southcentral Alaska. Spring. Afternoon.